WHAT IS IT? To be honest, when I first read about this particular challenge I had to google as I wasn’t sure at all what this could mean. Then I did a test nail and then these nice dark purple glittery galaxy nails. WHAT IS USED? Well, quite a bit. But only very little of each. I used essie No more film, a creamy very dark purple, as my base coat. Had I wanted to wear it on its own, I would have used another layer of polish. But like this, one coat was absolutely enough. As one coat of polish dries up pretty quickly I could move on to my next step straight away: First I sponged on a thin layer of pearly white KIKO 214, then little bits and pieces of blue metallic (essie, blue rhapsody). 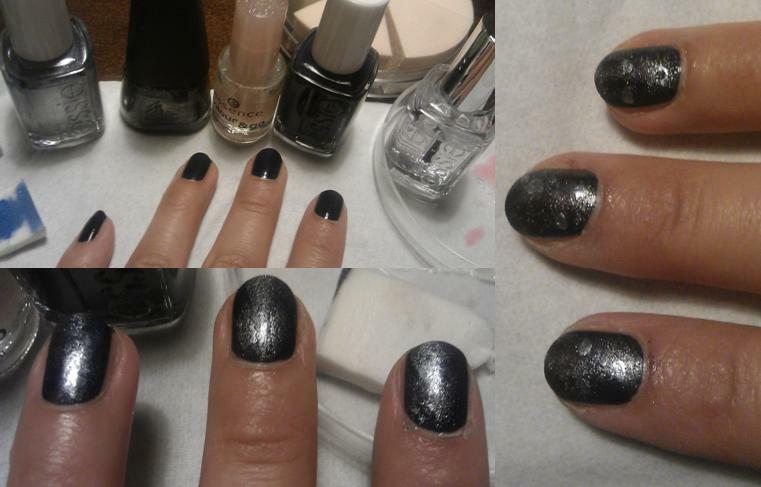 To give it a bit of depth I then sponged on some dark purple glittery nail polish by Manhattan (610W). Next I added some small dots, again blue rhapsody and when they were nearly dried sponged over them with the remaining bit of nail polish in the sponge to give them a little bit of a blurred outline. Last I finished the whole thing of with a layer of essence, 04 Space queen, a glitter effect coat with slightly holografic fine glitter. HOW DOES IT FEEL? It was so much fun. Doing this mani was like doing art back in school: Sponge on some colours, create a blurry yet cool picture and you are the cool kid in town. And it was so super fast. 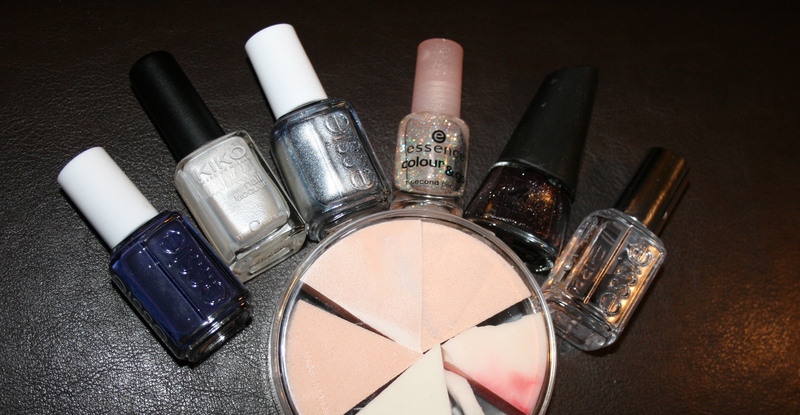 As sponging only ever applies small amounts of nail polish once you have sponged all 10 nails you can start again with the next colour with the first one. I will definitively do this again. This entry was posted in Nail Art and tagged 214, 31 day nail challenge, 610W, blue rhapsody, essence, essie, KIKO, Manhattan, Nailpolish, no more film, space queen by kathatravelling. Bookmark the permalink.